Boveda 62% Small 8 gram 300 Ct. Ideal for herbal and premium tobacco products. Boveda is the trusted choice for thousands of cannabis cultivators, processors, dispensaries, and consumers around the world. 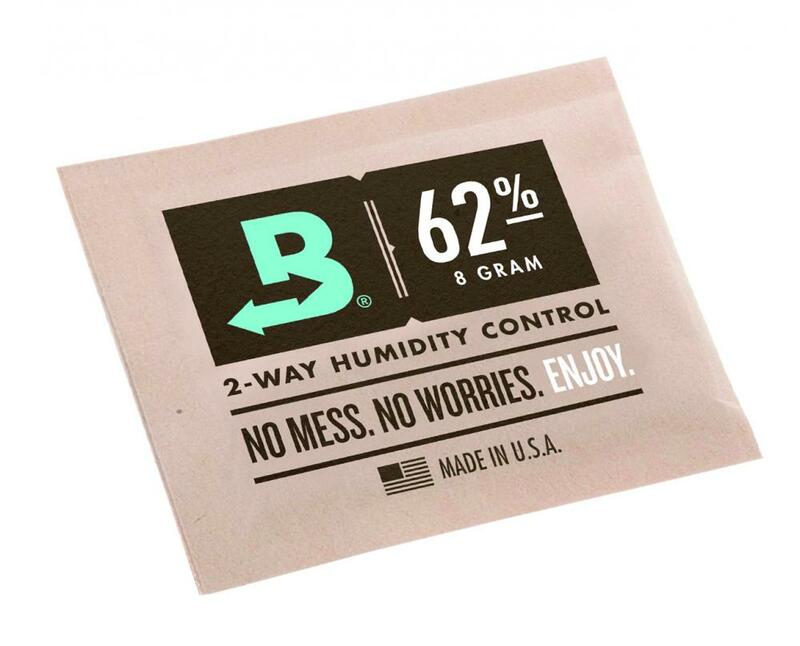 Boveda Humidipaks offer 2-way humidity control, constantly working to keep your products in ideal condition. Simply place the Humidipak inside your storage container, and let it do all the work. Accurate within +/- 1% of the specified RH level, the Humidipak monitors ambient humidity, adding and removing moisture as needed. When the Humidipak becomes stiff or hardened, simply replace with a fresh one. Never worry about moldy or dried out product again. Plus, cannabis stored with a Humidipak retains 15% more terpenes than traditional storage, and maintains higher THC levels. No mess. No worries. Enjoy. Boveda 58% Small 4 gram 600 Ct.